Don't have a Valentine ? WHO CARES?!?! Come celebrate all things that aren't Valentines Day. 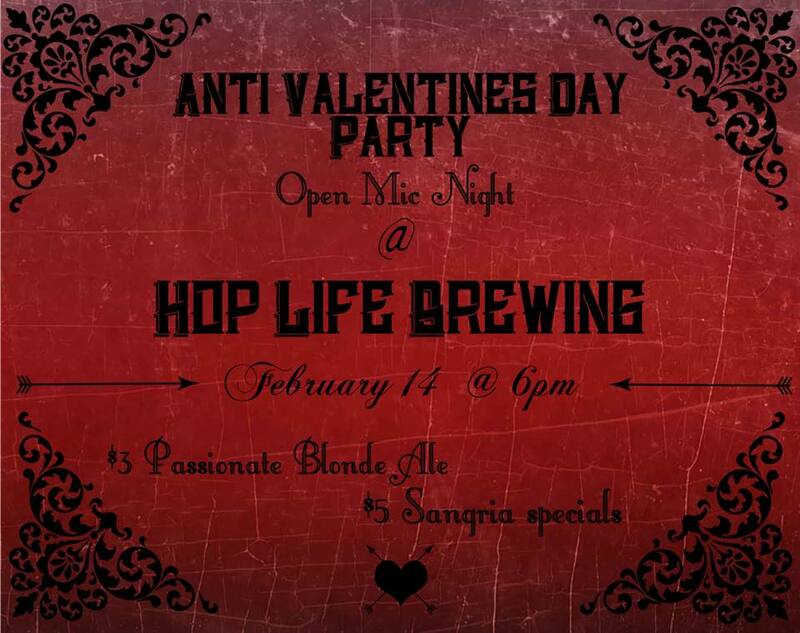 It's open Mic Night so bring your best anti love play list. We will also be sampling our Night Train Chocolate Stout cupcakes from Small Cakes. We will have plenty of drink specials. Reds Kitchen will also be serving up some custom cuisines for the night. You Don't want to miss this!